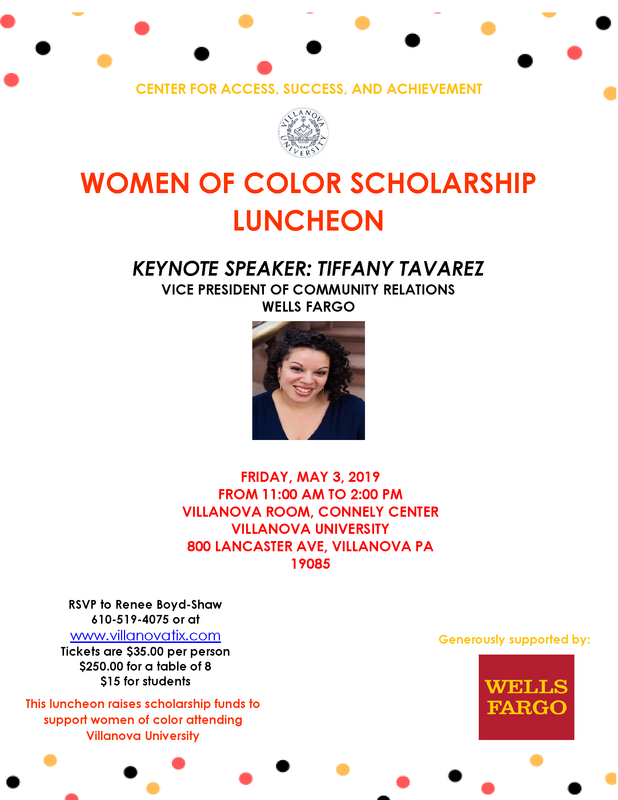 The Center for Access, Success, & Achievement (CASA) presents its annual Women of Color Scholarship Luncheon on Friday, May 3, 2019. The event will start at 11:00am in the Villanova Room in the Connelly Center at Villanova University. If you have any questions, or if you would like to make a direct contribution to the scholarship fund, please contact Linda Coleman in the CASA office at (610) 519-4074 or linda.coleman@villanova.edu. This ticket option is sold out. Please see other ticket options for purchase.